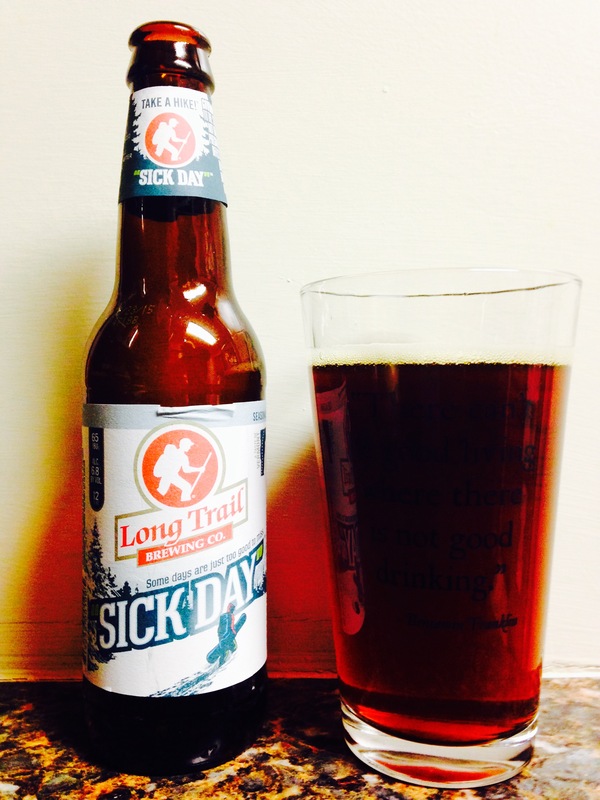 Long Trail brewing company from Bridgewaters Corner, VT gives us “sick day”. The bottle refers to some days being to go to miss so call in a sick day. However this beer smells like sweat socks and hoppiness! It’s dark and has. 6.8 alc content and I think it actually smells more hoppy than it is but either way it’s not something I would drink again. Jennifer wouldn’t even finish hers, but because of the alc content I have to give it 1 star. Be aware.